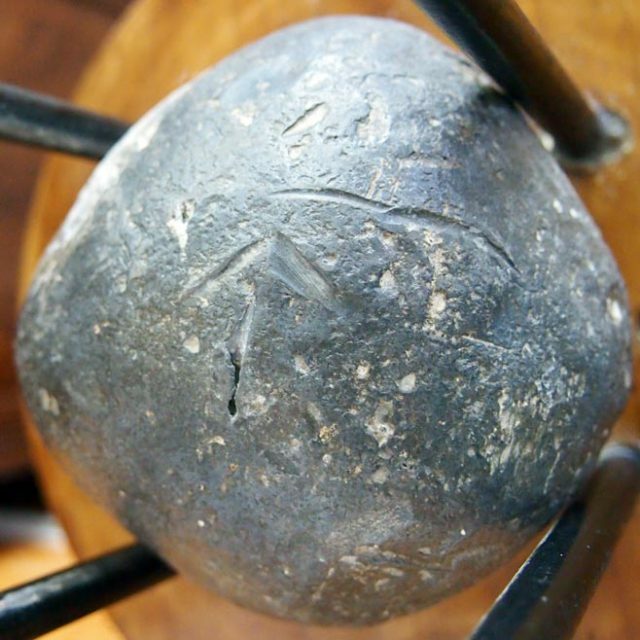 This cannonball was fired from a government paddle steamer in 1869 and was one of the last shots fired in the Taranaki wars. 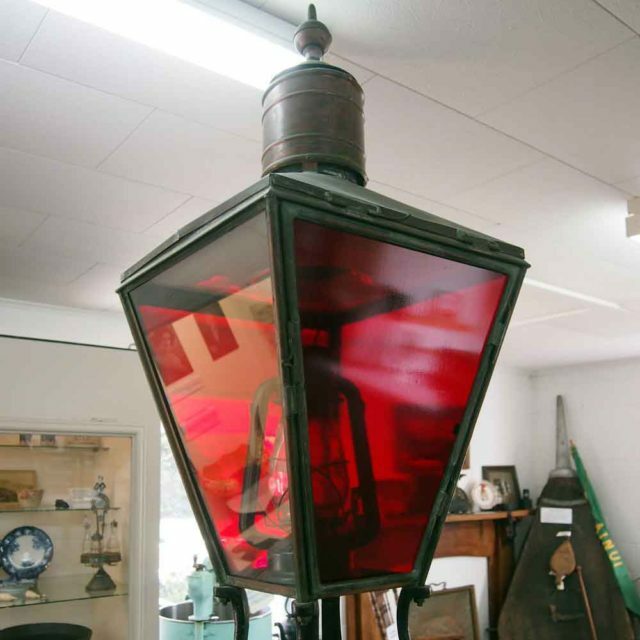 This light alerted motorists to the rabbit gate that prevented rabbits from crossing the newly erected Mokau River Bridge. 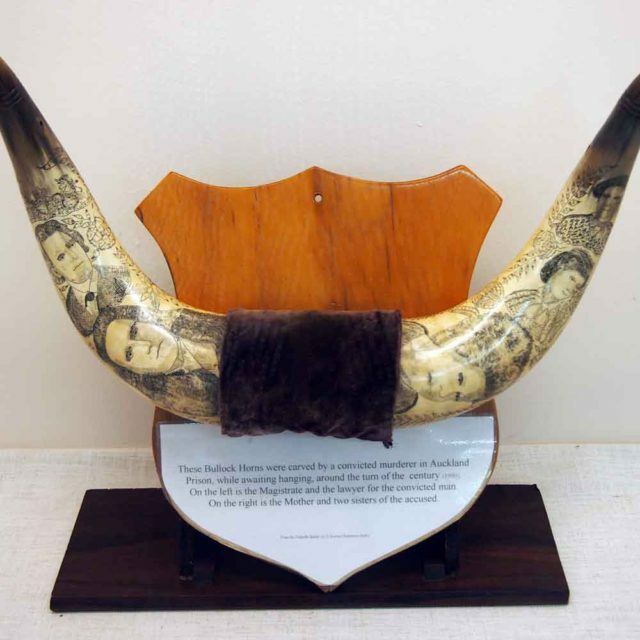 Scrimshaw bullock horns carved by a prisoner waiting on death row in Mt Eden prison. They were gifted to the prisoner’s jailer who brought them home to Mokau with him. “Untamed” – Hortus Matres Series. 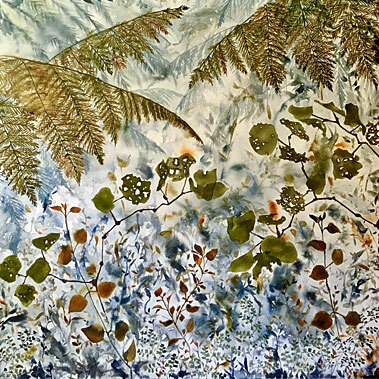 Exhibition of semi-abstract paintings of New Zealand flora by Taranaki painter Joni Murphy. 22nd March – 25th April. 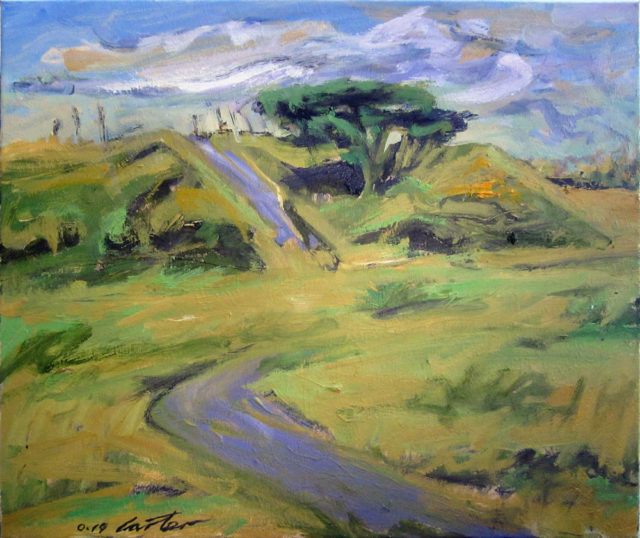 Taranaki artist living in Okato, who paints in the expressionist style. 26th April -30th May. 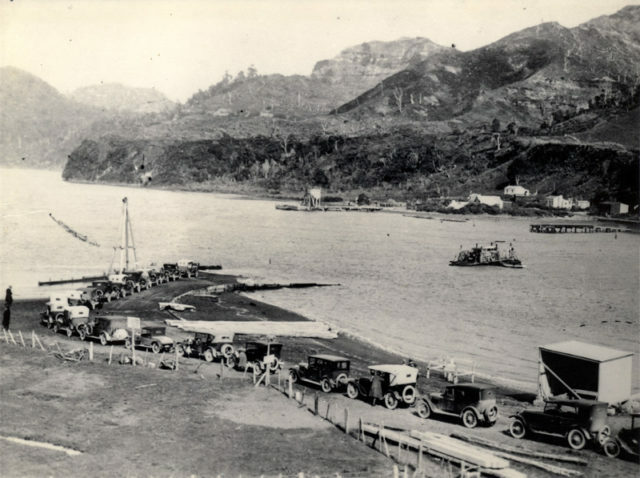 In the early 20th Century, the Mokau River punt was the only way that traffic could cross the wide river. Everything was ferried across on the punt from cars and trucks to livestock. 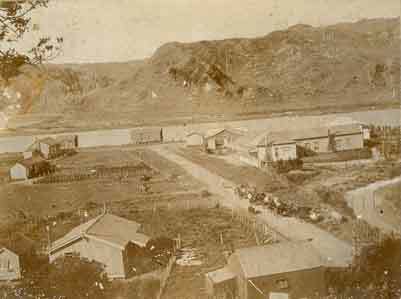 In 1854 the government purchased Māori land around Awakino but this was only made available for settlement in 1893. 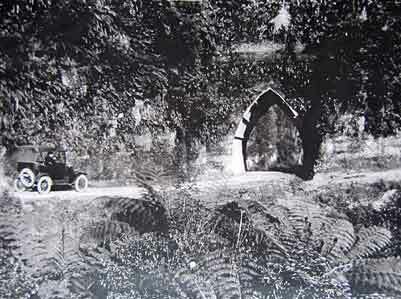 Built in 1916, the Mt Messenger tunnel helped improve this notorious road in North Taranaki.